It's been quite some time for Isetan to be located at One Utama shopping complex, and I love their eat paradise which located at the top floor of Isetan. So Japanese can! Menya Musashi is one of the dining place located inside the Eat Paradise and it is a ramen shop. 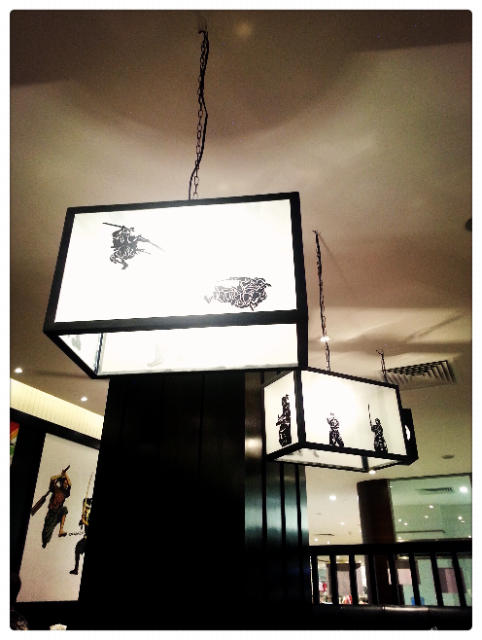 Samurai/Bushido themed, you can find the interior all related to the old Japan culture. 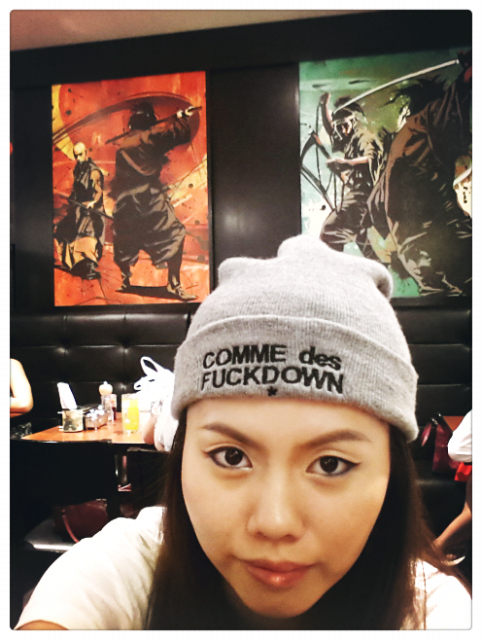 Ramen chef yelling inside the kitchen, greeting customers, everything is so energetic. And here comes the highlight of the shop - Ramen! Comes in 3 main flavours and other else, Shiro, Kuro and Aka Musashi ramen is what we wanna try. Both me and Jason ordered Kuro and Kuro Aka mix. 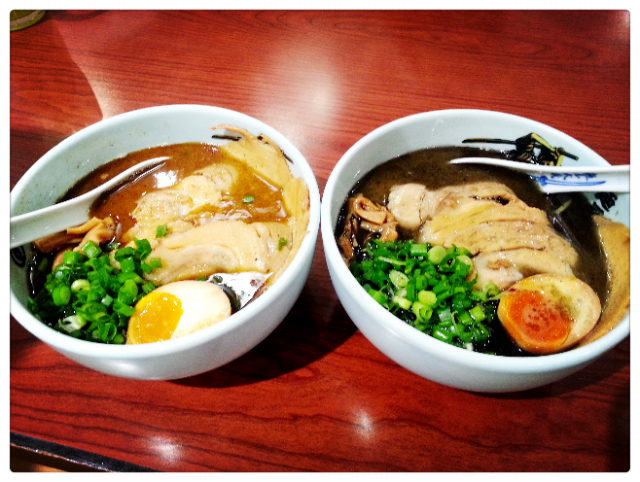 Maybe I had Hakata Ippudo just recently, it's easy for me to compare these two ramen shop. Menya Musashi is more energetic, quick dining kinda feel of restaurant whereas Hakata Ippudo is more leisure, quiet type of restaurant. 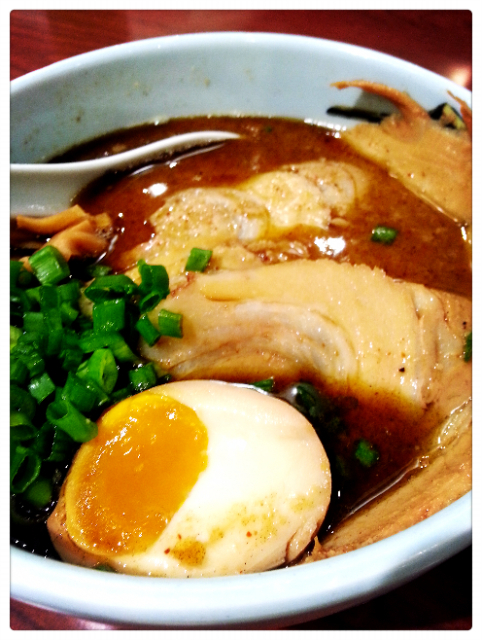 It's really amusing to see the broth of Kuro ramen is really dark, and Aka is really red and spicy as well. 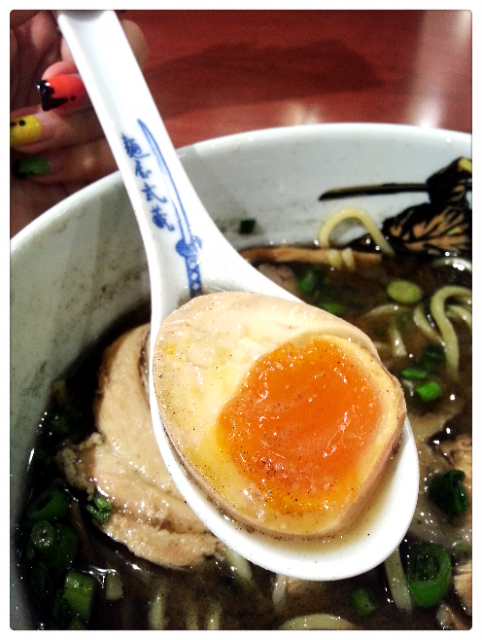 I love Menya Musashi's broth, ramen and onsen tamago but not their chasu. Their chasu is kinda hard to chew, unlike all the chasu I've had before in ramen shop which is soft, melt-in-mouth that kinda feeling. 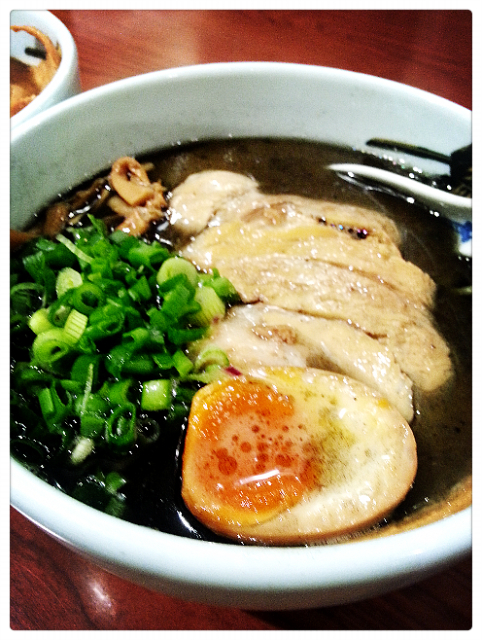 Overall it's good, I find the taste of Kuro Aka mix is more tasteful as there's hint of spicy in the broth. 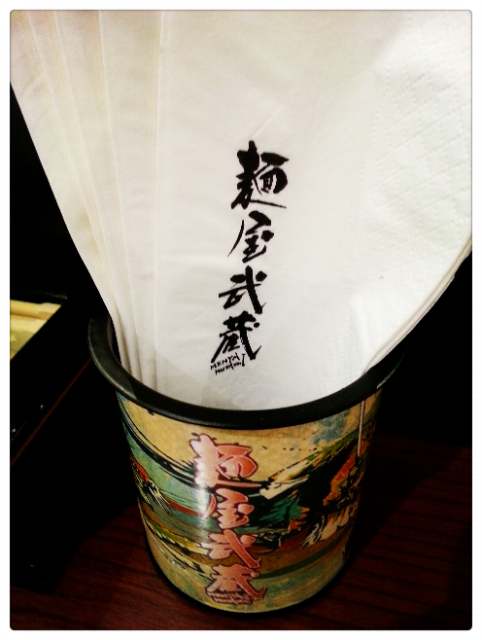 If you're one to feel the energetic Japanese chef and Samurai/Bushido fan, Menya Musashi is the place for you!